Jul - 17 | By: pdx48hfp | one comment. That’s right, the original, best, and biggest time based festival/competition is set to take over an unsuspecting Stumptown again, and registration is now open! Just go to www.48hourfilm.com/portland_oregon to register a team today! The world premieres of all the short films are August 7 & 8 at The Hollywood Theatre. AND, on August 21, we will present “The Best of Portland”. This screening will showcase the creme de la creme of this year’s PDX 48HFP. In case you are unfamiliar with the PDX 48HFP, On Friday, August 2nd, teams of filmmakers will draw their genre from The Cruel Hat of Fate, and each team will be assigned the Character, Prop, and Line of Dialogue for this year. They will then write, shoot, edit, and add music to their films before they drop them off a mere 48 hours later. The winning Portland film will screen with other city winners from across the globe; receive a trophy; and has the chance to screen at next year’s Cannes Film Festival and receive other prizes. Sign up today! 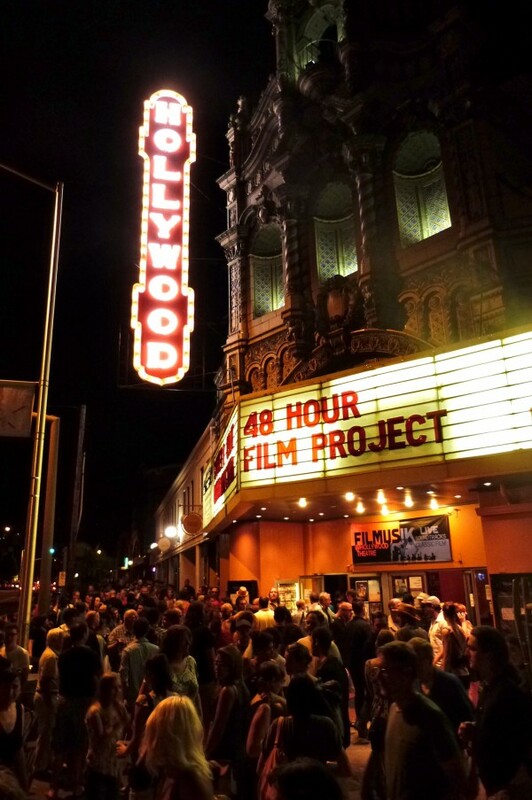 Each year since 2004, the PDX 48HFP has tested the creative mettle and stamina of some the area’s best and most courageous filmmakers, with incredible results. You will not believe what our area talent can come up with in such a short amount of time. 3. Volunteer…and see screenings for free! If you have any questions, contact the producer Rob Hatch at [email protected] for more info. Check us out on Facebook too. We have a group and page-both coincidentally called the Portland 48 Hour Film Project! I love this picture. Thanks Wendy!